If you want to know more about Blackjack Card Counting, you’re in the right place. It’s a strategy you can choose to use if you want to shift the advantage slightly more in your favour. You might think that it requires some kind of special mathematical formula, coupled with a great memory. However, this guide will show you that’s not strictly true. What follows is an explanation of the blackjack card counting technique, whether it’s legal, if it works online as well as in-house, how effective the strategy is and whether there are any difficulties if you use it. Adopting a gambling methodology is how most of the high rollers manage to win more than they lose. Card counting is primarily a technique used in Blackjack to reduce the casino’s house edge. Smart gamblers are aware that trying to keep track of the cards drawn from the dealer’s card shoe during a game is pointless. Principally, the aim is to be able to determine the likeliest value of the next cards to be drawn, and more importantly, whether you should bet or not. Invariably, using a proper counting strategy is the only viable option open to you if you’re attempting to swing the odds in your favour. However, don’t despair because there is some great news on the horizon for all potential Blackjack exponents. If you want to learn how to count cards, take advantage of our unique card counting app. Our online assistant will help you learn how to count cards like a professional, and boost your chances of winning. The prospect of learning to card count may feel a little daunting at first, but by simply utilising our online tutorials, you’ll be able to absorb the information at your own pace. Although casinos frown upon method gamblers, there is nothing to stop you doing it. As you become more proficient in the art of card counting, the more money you stand to win. Who would want to argue against that? The blackjack training simulator app is only available in portrait mode. Hone your card counting skills with our free and exclusive card counting app. Black-Jack.com strives to provide the best content in a safe responsible manner. This blackjack tool is to be used by people over the age of 18. Please confirm you are of legal age before using this tool. NOW YOU SAW HOW TO COUNT CARDS PROPERLY. You can always use the bottom-right "Hint" button and we will show it for a while. TRY TO COUNT THE CARDS SCORE FOR 20 SECONDS. You guessed right! The card deck count is . You calculated that the card deck count is , you're very close but not correct. The real count is . you're close but not correct. The real count is You calculated that the card deck count is , which is way off the correct count. The real count is . Try again or continue to the next level. WE MADE THE COUNTING HARDER BY INCREASING THE SPEED AND ROTATION. TRY TO COUNT THE CARDS SCORE FOR 30 SECONDS. You guessed right! The card deck count is . You calculated that the card deck count is , you're very close but not correct. The real count is . Continue training to improve your skills. You calculated that the card deck count is , which is way off the correct count. The real count is . Continue training to improve your skills. It’s very easy to break down the technique into four simple steps and it’s important you follow them in order to optimise your winning strategy. There’s no need to worry about how many aces, fours, kings, or jacks have been dealt from the shoe. When you learn to count cards you’re just following how many high and low cards have been dealt and how many are left in the shoe, rather than stressing over specifics. This is because in the game of blackjack if there are higher value cards still in the shoe it’s more favourable for the player. Unlike the dealer, who is forced to follow certain rules, in the game of blackjack a player can choose whatever strategy they want to follow. With a little bit of practice, it’s possible for anyone to count cards in blackjack and thereby increase the odds of winning. Here’s how to do it. There are a number of different card counting strategies to use, however, the most common is known as the High-Low strategy. Keeping track of every card that’s dealt from the shoe would require a special kind of talent. Fortunately, there is an easier way if you want to know more about how to count cards. It’s a system that assigns the following values to certain cards. Cards between two and six are given the value of 1. Cards of ten and above, including the Ace, are given the value of -1. Cards between seven and nine have no value at all. Then it’s a simple case of adding up or subtracting the points. In an ordinary pack of cards there are an equal number of high and low cards in the pack. High-value cards (tens, picture cards, and aces) are far more beneficial for the player. Low-value cards, on the other hand, benefit the dealer more. Those cards in the middle, sevens, eights, and nines, are considered to be neutral cards. As the cards are dealt out of the shoe, a card counter simply adds up or subtracts the point values, giving them a running total. This running total is known as “the running count”. The odds change very little during the first few hands, however, as more cards are dealt a card counter can get a better idea of what’s left in the shoe. Thereby predicting what’s more likely to be dealt next. Understandably, casinos were not too keen on card counting, and in order to make it much harder, multiple decks were introduced. It worked for a while, but gamblers are very resourceful, and soon found a way around the problem. Enter the “true count” into the strategy. The best way to explain it is with a scenario. Imagine yourself with a +5-running count and only one deck left. Now picture yourself with the same running count but five decks left to be dealt. They are both very different scenarios. The first example is the best position to find yourself in because the edge is in your hands. This is due to there being a favourable quantity of 10’s and Aces left in the shoe. By using the true count you’re able to tell what your advantage is, at whatever stage of the game and whichever blackjack casinos list you’ve decided to follow. The true count is easy to work out, you simply divide the figure you have for the running count by how many decks are still to be dealt. 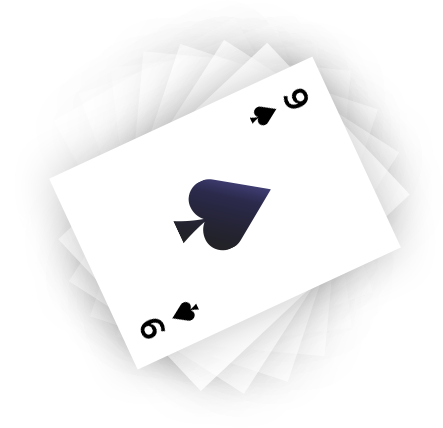 If you’re playing a blackjack game in which there are six decks, every true count moves the houses advantage half a percent in favour of the player. If the true count is one, for example, the house edge is the same as the players advantage. With a true count of 2, on the other hand, the players advantage is increased by half a percent. This does depend on the rules being played and the number of cards dealt before the decks are shuffled, but it is a good strategy to work by. If the true count is favouring the player you should bet big. If, on the other hand, the true count is neutral or negative your bets should be small. Is it illegal to count cards in the UK? The next question you’re bound to be thinking is “is it illegal to count cards?” You’ll be pleased to learn that card counting isn’t illegal, whether you’re playing in the US, Monte Carlo, London, or anywhere else in the world. It’s not exactly welcomed by casinos, because it has been shown to be a very successful strategy to adopt. Casinos are well aware that card counters can lose them money. This makes them less likely to welcome you with open arms and can even get you kicked out of an establishment if it’s suspected that’s what you’re doing. Therefore, it’s in your own best interests to not get caught. Is card counting considered as cheating? The question “is card counting illegal?” has already been answered but you’re possibly still wondering whether it’s considered to be cheating. The simple answer is no you’re not cheating, you’re simply playing to your own advantage and out-thinking the house. You don’t want to be found counting cards, so there are a number of things you can do. The best way to fool the house is to dress like a tourist and appear to be enjoying your time at the table by talking to the dealer and not betting too quickly. Don’t look like you’re too focused on the game, and you’re there to have a good time rather than beat the house. Can I count cards whilst playing online blackjack? Unfortunately, it’s highly unlikely for any kind of card counting strategy to work if you’re playing blackjack online. It’s easy to keep track of cards during a game of online blackjack, however, there’s no way of knowing if the deck has been reshuffled or not. Essentially, every new hand dealt out by a computer programme has been randomly generated and randomly selected from a full deck. Every hand that is dealt comes from a fresh card deck, making card counting nigh on impossible. There is, however, a reason to keep your card counting strategy alive, and that’s because it’s good practise for when you get to play a live game. There is one exception to this rule, and that’s live online casinos, where you can see the dealer and the cards and when the deck is reshuffled. Is there any proof that the card counting strategy works? Thanks to the mathematical realities of card counting it has been shown to work. By keeping careful track of what cards are left in the shoe, a card counter is able to place larger bets when there are more high cards left to be dealt, and smaller bets then there are fewer high cards left in the shoe. That being said, card counting isn’t for everyone and it does require a certain amount of practise and dedication. You also need to work hard at not getting caught. There are certain characteristics you need to have in order to be successful. For example, you have to be a stickler for details and be able to pay close attention to the cards being played, without making it obvious that’s what you’re doing. You also have to be disciplined and able to keep your cool. What are the main difficulties of counting cards? The main difficulty to counting cards is to avoid getting kicked out of a casino. It’s not a dangerous strategy to adopt and can actually be rather tedious. It’s not illegal and you also need to be able to accept that you’re not going to win all the time. Even the best card counters only win marginal amounts. You need to be prepared to sit at a table for a long time before you’re able to make any prediction as most games are six deck blackjack.